Superdry women's Jessa graphic top. Refresh your wardrobe with this lightweight top, featuring a crew neck, cropped sleeves and a timeless stripe design. 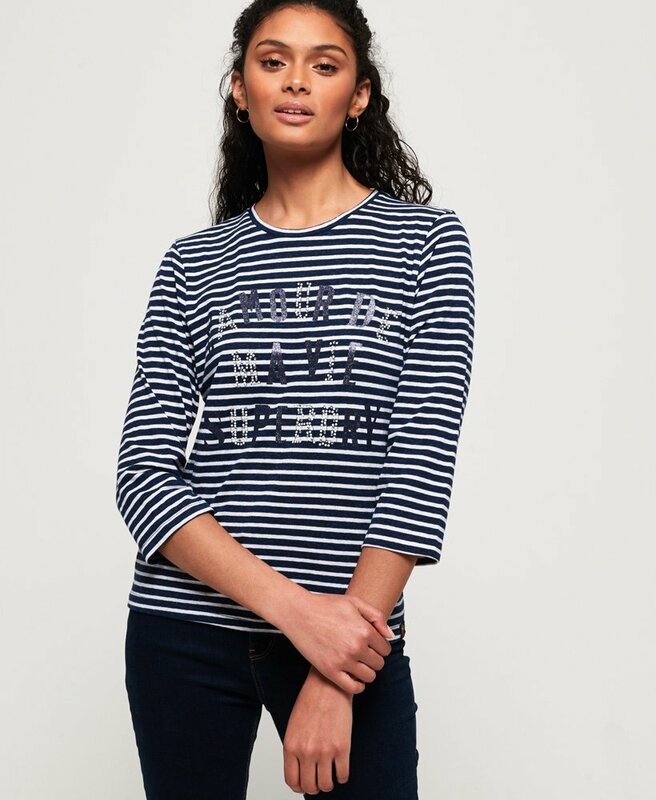 The Jessa graphic top is completed with a Superdry logo graphic across the front with rhinestone and flocked detailing, and a logo tab on the hem. Dress up this versatile top by tucking it into an a-line skirt, or dress it down with classic blue denim.